A total of 78 people were initially approached. Resulting in 39 published life story chapters. They gave their family histories, photographs, their own life stories to help create this important and unique archive. 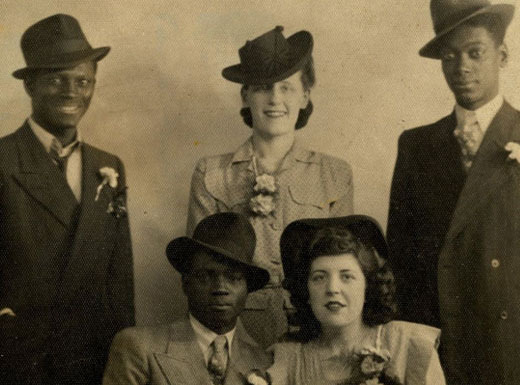 A cultural and community history based around the lives of Africans in Greater Manchester from the 1920s to the 1960s..
Afro Solo UK might never have happened had Leslie Johnson not donated a collection of photographs to AIURR. The collection included family snaps, studio portraits and street photographs of the family and friends of Leslie’s parents, Jide and Renee Johnson. What made them special was that they were a visual record of Africans in Manchester in the 1940s. A community that had fallen beneath public awareness as increasingly the “Windrush” has become the timeline for Black communities in the UK. AIURRRC set the photographs as an exhibition showing it in local libraries and sharing it with African community groups. The photos generated huge interest, stirring up memories and re-capturing the names of numerous people featured. Leslie’s photographs form the foundations of the Afro Solo UK research of images and memories of the oft-forgotten African community in Manchester.